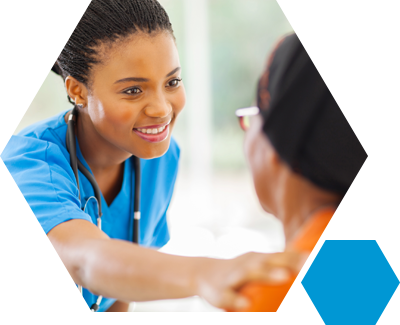 TripCare is your one stop solution for managing patient transportation. In TripCare, you are able to view all the trips scheduled to your facility for any specified day. TripCare’s dashboard allows you to manage trip requests, reservations, and know which transportation provider is assigned to each reservation. Use TripCare for all your patient transportation needs and consider it done. LogistiCare is your partner in care and we have technology to help you coordinate patient transportation. NOT A TRIPCARE MEMBER YET? View this short video to learn how to get started using TripCare. See all that you can do with managing your patient’s transportation. There are a plethora of benefits that result when we partner in scheduling. For health care providers, coordinating care ensures patients arrive – as scheduled, with fewer missed appointments and scheduling mishaps. If we can get patients there, we have a better chance of improving their health conditions. For members, their transportation is scheduled in tandem with their health care appointments saving them time, which means getting care is easier for them. For patients who aren’t eligible for transportation but need the service, facilities can obtain contracted transportation from us directly. Elk River Health Services, Inc.
We ensure that the members scheduled for critical appointments arrive in a timely manner, helping optimize the use of both the physician’s and facility’s time. If schedules need to shift, please call us and we’ll accommodate any changes requested. We proactively reach out to medical facilities to verify holiday schedules. We do the same for a pending disaster, such as an approaching snow storm. We’ll make sure you are open and confirm your schedule, so patients aren’t at risk. Beyond the day-to-day management of recurring care appointments, LogistiCare is known for the personal attention provided for dialysis and other highly sensitive trips. In most cases, we assign the member to the same transportation provider for these recurring trips, allowing them to build a relationship and establish a routine that builds trust and leads to higher satisfaction for both the patient and the practitioner. Our user friendly and customized process makes scheduling standing order (recurring) trips easy for multiple patients and simplifies eligibility and compliance steps. We’ll verify eligibility on the day the multiple trip requests are made, and then every month thereafter throughout the duration of the order. On a regular basis, we verify with your facility that the participant attended the appointments as scheduled. If an assigned level of service is in question, we’ll work directly with you. This step eliminates non-medically trained personnel from making medical decisions, reduces fraud and abuse, and applies state program guidelines consistently. Enjoy the convenience and flexibility of scheduling patient trips online, any time, through our Facilities Services Portal. Sign in to manage patient profiles, schedule trips, view reservations, and more. Discharge hospital staff now have the ability to request our transportation services through their system without placing a call or having to log into the facilities services portal. They can utilize the streamlined process (the check of a box) to electronically notify LogistiCare of impending discharges. Our LogistiCAD system integrates with hospital care transition software, which means we are notified of a discharge automatically. To increase hospital staff efficiency, we ensure timely pickup of discharged patients and keep lines of communication open with hospital staff along the way. If you have additional questions or need to download forms that are specific to your state (medical justification / policies and procedures / preferred provider / etc. ), please visit our facility information page which provides information and relevant documentation on a state by state basis. NEED TO REPORT A CONCERN OR SEND ACCOLADES? If the quality of service experienced is ever less than desired, we want to know right away. Our WeCare feedback system ensures your questions or concerns are escalated to the right person quickly. We have terrific relationships with facilities across the country. So let us know when a driver or a staff member exceeds your expectations as well. Its far more likely to occur. For better coordination, you need collaboration. We work collaboratively with health care professionals to provide education about non-emergency transportation and how to use our facilities services portal in the most efficient way. This not only gives facilities important information on what’s available and how to access services, but also informs us about the current needs of our health care professionals, hospitals, and clinics. The training, tools and support you need to get started is all part of our outreach to health care professionals. Together, we can improve patient health. Informational webinars are provided to: train health care professionals on using the facilities portal, discuss processes, and introduce new technology advancements. Webinars run for 30 minutes and allow 15 minutes for questions and answers. Through our dedicated web portal and online scheduling platform, facilities have easier and more convenient access to transportation scheduling and patient profiles. Facilities have a dedicated care coordinator, who supports them and serves as their single point of contact no matter their needs.